Beginning within the nucleus, the first step leading to the synthesis of a polypeptide is _____. Pancreatic cells, which secrete a large amount of digestive enzymes, are labeled with radioactive leucine and then chased for several hours with nonradioactive leucine. Photographic emulsions are prepared at different times during the chase. Where would the black spots appear on an emulsion prepared 3 hours after the pulse? What path does a protein in the secretory pathway take, starting from its site of synthesis? During a pulse-chase experiment, photographic emulsions were prepared at different times during the chase, and radioactive spots were detected at the following times and locations: 5 minutes: rough ER; 10 minutes: Golgi apparatus; 40 minutes: endosomes; 70 minutes: lysosomes; 140 minutes: lysosomes. Which of the following conclusions can be drawn from these results? A. The final destination of the proteins was the lysosome. B. The proteins were secreted. C. The proteins traveled from lysosomes to endosomes. D. The proteins did not travel through the Golgi apparatus. What scientific hypotheses can be tested by a pulse-chase experiment? True or false? Proteins produced during the "chase" phase of a pulse–chase experiment are labeled with radioactive material. What is the first step in a pulse-chase experiment? _____ are surface appendages that allow a bacterium to stick to a surface. The DNA-containing region of this bacterial cell is indicated by the letter _____. In a bacterium, where are proteins synthesized? What name is given to the rigid structure, found outside the plasma membrane, that surrounds and supports the bacterial cell? The _____ is the bacterial structure that acts as a selective barrier, allowing nutrients to enter the cell and wastes to leave the cell. The structure that regulates the passage of material into and out of this bacterial cell is indicated by the letter _____. Which statements are true for chloroplasts? Select the three that apply. Their inner membrane has infoldings called cristae. They are the sites of reactions that convert solar energy into chemical energy. They have membranous sacs called thylakoids that are surrounded by a fluid called stroma. Their matrix contains enzymes that function in cellular respiration. They are the sites of reactions that convert chemical energy to ATP. They contain the green pigment chlorophyll. Where do scientists obtain adult stem cells? Ideally, the best scaffold for growing a replacement tissue or organ would be made of what? In order to best eliminate the chance for rejection, a tissue or organ should be made from cells obtained from which of the following? If a fabricated windpipe is not receiving proper oxygen and nutrients, which of the following failed to properly regenerate? Which of the following is most likely to receive a fabricated organ made from his own cells? 1. 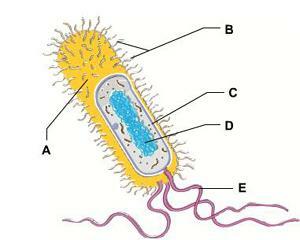 In eukaryotic flagella, the fibers that slide past one another due to the activity of dynein proteins are ___. 2. 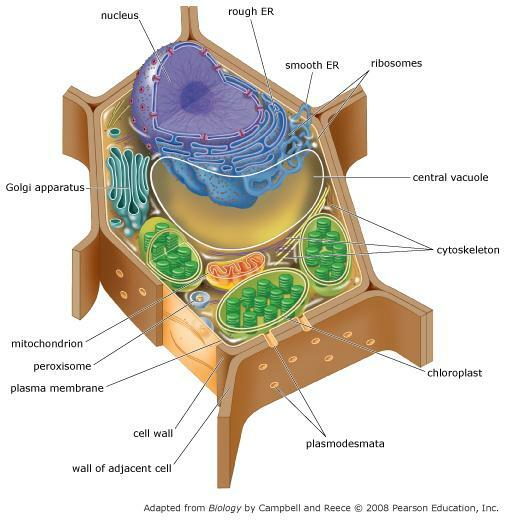 Many cell organelles, most notably the nucleus, are anchored by ___ which are assembled from a diverse class of proteins. 3. Centrosomes are sites where protein dimers assemble into ___. 4. The extension of psuedopodia in amoeba is due to the regulated assembly and destruction of ___. 5. The only cytoskeletal fibers not associated with intracellular movement or whole cell locomotion are the ___. 6. During muscle contractions, myosin motor proteins move across tracks of ___. 1. In eukaryotic flagella, the fibers that slide past one another due to the activity of dynein proteins are microtubules. 2. Many cell organelles, most notably the nucleus, are anchored by intermediate filaments which are assembled from a diverse class of proteins. 3. Centrosomes are sites where protein dimers assemble into microtubules. 4. The extension of psuedopodia in amoeba is due to the regulated assembly and destruction of microfilaments. 5. The only cytoskeletal fibers not associated with intracellular movement or whole cell locomotion are the intermediate filaments. 6. During muscle contractions, myosin motor proteins move across tracks of microfilaments. Which molecules do not normally cross the nuclear membrane? Which of the following statements about the nuclear envelope is false? A. The nuclear envelope is composed of two lipid bilayers. B. Molecules pass into and out of the nucleus through nuclear pores. C. The nuclear envelope is continuous with the Golgi apparatus. D .Nuclear pores are made up of a group of proteins that are collectively called the nuclear pore complex. True or false? Large proteins containing a nuclear localization signal (NLS) bind to the nuclear pore and enter the nucleus without any expenditure of energy. A small protein (molecular weight = 25,000 daltons) is injected into a cell and observed in the nucleus a short time later. What type of transport has taken place? In experiments to test whether a protein can enter the nucleus, why would proteins be labeled with fluorescent molecules? Nucleoplasmin is a nuclear protein. This protein was divided into two segments and linked to the same large cytoplasmic protein, generating two fusion proteins. After injecting these fusion proteins into a cell, one of the proteins was found in the nucleus and the other in the cytoplasm. Which of the following conclusions can be drawn from these results? A. One of the fusion proteins entered the nucleus by passive transport. B. The cytoplasmic protein contains a nuclear localization signal. C. Nucleoplasmin does not have a nuclear localization signal. D. Only one of the two fusion proteins possesses a nuclear localization signal. The primary role of _____ is to bind animal cells together. _____ aid in the coordination of the activities of adjacent animal cells.